All Saints is an Episcopal Parish of the Diocese of Connecticut, called the Episcopal Church in Connecticut. We celebrate our life in Christ and as other members of the Episcopal Church are "Christ Centered." As Episcopalians, we are followers of Jesus Christ, and both our worship and our mission are in Christ’s name. In Jesus, we find that the nature of God is love, and through baptism, we share in his victory over sin and death. Our faith is Biblical, Apostolic, historic and rooted in Christ's mission here and now. 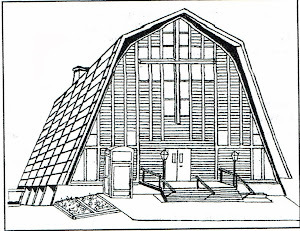 Historically our parish was a part of a regional ministry that shared staff and support facilities. That regional clustering ended in 2012 and All Saints continues as an independent congregation in the Diocese. We are joyful that we were able to share Ministry so closely with other congregations and we rejoice in our new opportunities. The Diocese has recently reorganized into six regions. All Saints' is a parish in the North East Region. We are a participating congregation and were represented by lay and clergy at the initial Regional Convocation. We affirm that committed relationships are lifelong and monogamous and gender inclusive. Episcopalians also recognize that there is grace after divorce and do not deny the sacraments to those who have been divorced. 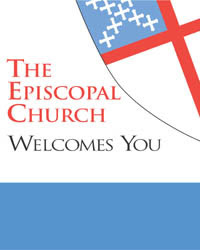 All are welcome to find a spiritual home in the Episcopal Church and in our Parish!